While the holidays can be a hectic time of year, FunPaw can help set aside some of those worries and provide ways for you to care for your pet or give someone the opportunity to. From gift-giving to Christmas preparations, FunPaw products will ensure you and your pets have a safe, merry holiday. FunPaw is all about connecting pets and people. This year, why not give that gift? 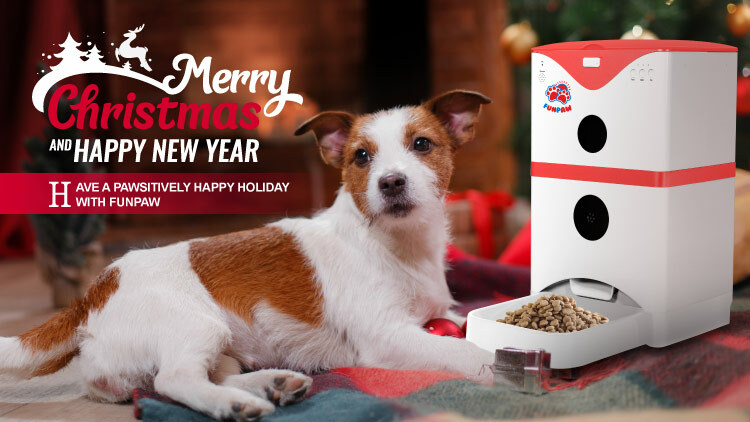 The smart Feeder makes a great gift for any worry-wart pet owner since it can be programmed in advance to dispense meals. While attention turns to preparing for festivities, pets won’t get left out. The Q or PlayBot Q devices offer features to keep an eye on and play with your pets from afar whether you’re downtown or across the country. And all it takes is one of these systems and the app. With everyone out looking to snag the hottest gifts, everything from local stores to sprawling malls is more crowded than ever. Bigger crowds mean more time standing in line. Let’s be real, there’s probably nothing more annoying than spending more time in line than you did shopping. If you’re looking for a way to pass the time, just pop open the FunPaw app. Use the navigation buttons and camera to drive the bot around and find and check on your pets. Make sure the dogs are chewing on their new bones and that the cat hasn’t knocked the tree over again. Don’t Forget to Feed the Dog! Somewhere between rushing to finish that shopping list or double-checking that you packed extra socks, you just barely remembered to feed the dog. It happens. But there’s gotta be a way to make sure Fido’s as well cared-for as always… FunPaw can help! 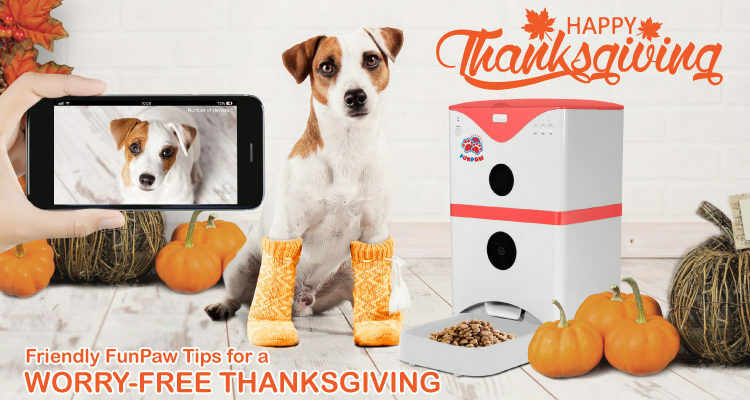 With the FunPaw Pet Feeder, you can use the app to set a schedule for your pet. Just fill the device once and it’ll handle the rest. The device dispenses portions for your pet automatically, so once the feeding schedule’s set, you can care for your pet and tackle holiday festivities at the same time. With these ideas and more, FunPaw can help you celebrate the season like never before. Discover all-new ways to connect with your pet or give someone that same chance. Christmas day or every day, with FunPaw, your love knows no bounds.